I’m trying to be a bit more orderly in sorting out my books this time round. That is, I’m creating a proper Excel file where I can list them all down. 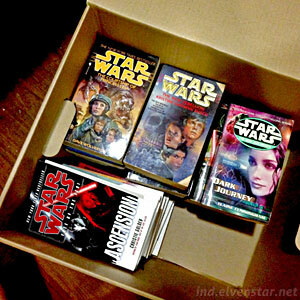 And I’m packing all the Star Wars books (that I don’t plan to take with me) in one box. You can leave the box with me to randomly read. hahaha.